You purchased a product. You followed the instructions and used the product in the manner the manufacturer intended. Yet, the device or product malfunctioned, and now you are seriously injured or disabled and facing costly medical bills. Where do you turn? At Banks and Jones, we have honed our legal skills throughout decades of practice in Tennessee courtrooms. Our reputation for success precedes us wherever we go in the Knoxville area. Defense lawyers know us for being aggressive, competent and fearless. We understand that your accident has caused you and your family a tremendous amount of pain and suffering, and our attorneys are ready to go the extra mile to get you rightful compensation. Sometimes, you just know a product isn’t going to be that great. But most of us assume that when we spend a few dollars on something, or when we see some kind of approval sticker from a trusted group, that what we buy will work the way it’s intended. We certainly don’t think that it’ll cause us harm. Defective auto parts. Takata’s airbags, GM’s ignition switches, Jeep’s brakes: stories of defective car, truck and motorcycle parts make the news almost every day, it seems. Many people have died over the last decade because of defective auto parts, and hundreds have been seriously injured. Defective medical devices. Many medical devices are rushed to market because of the 510(k) submission process, which allows them to bypass years of research and testing – a literal legal loophole. A defective medical device can necessitate revision surgeries, lead to infections, and, in some case, prove deadly to the patient. Defective children’s products. There are specific laws in place to ensure that kids are safe. But a lot of toys end up being recalled for issues like choking hazards (as do hoodies and window blinds, actually), and Ikea has been pressured into recalls for its furniture, which presents a crushing hazard for small children. Dangerous drugs. You know those commercials for medications where the list of potential side effects seems worse than the illness the pill actually fixes? That’s because some drugs are so dangerous, they can literally kill people. Xarelto is a blood thinner with no antidote, so you can bleed out. Zoloft is an antidepressant that can lead people to suicide. Ambien may kill you. There are a lot of dangerous drugs out there. Contaminated food products. Salmonella, e. Coli, listeria, metal shards – food is dangerous. Design defects or malfunctioning packing equipment can cause to food contamination; so can substandard quality control. Defective household products. Washing machines with lids that fly off mid-cycle. Exploding lithium ion batteries. A defective household product can easily start a fire. Poor packaging design can make it easy for chemical to leak, too. What type of defective product claim could I file? When you use a product the way it was intended, and you still suffer an injury, you may have grounds for a lawsuit. When you seek our help at Banks and Jones, one of the first things we do is investigate your case to determine the cause of your accident and who may be at fault. Since many parties are involved in the design, manufacturing, packaging and shipping of the product that caused your injury, proving liability can sometimes be difficult. Defectively manufactured products — Sometimes a product is designed in a sound and safe manner. However, defects can arise if a mistake is made or the design plan is not followed closely enough during the manufacturing process. Failure to provide adequate warnings or instructions — Not all products liability claims involve design or manufacturing defects. Sometimes an accident or injury results from inadequate warnings or instructions. Hazardous products must contain warning labels that describe their intended use, how they might cause harm and the steps you should take in the event that you are injured. Defectively designed products — In some cases, an entire product line may be dangerous because the product was poorly designed. When this occurs, countless individuals may be at risk of suffering injury or death. 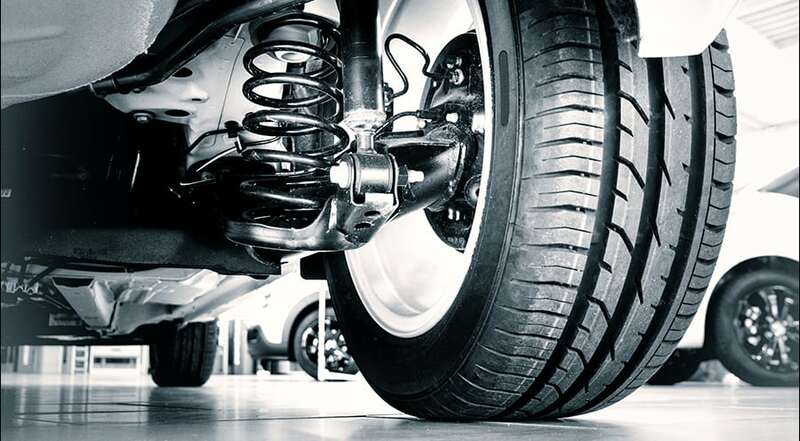 When cars, trucks or motorcycles contain defects, they can cause serious auto accidents. If a defective air bag, brake or tire is responsible for your injury, our Knoxville lawyers can assist you in filing a claim against the vehicle manufacturer. If you suffer an injury because of a defective or poorly designed product, seek experienced legal counsel as soon as possible. Depending on the extent of your injuries, you may be able to recover compensation to cover the cost of medical expenses, pain and suffering, loss of consortium and loss of wages. Furthermore, if a malfunctioning product has caused the death of your loved one, you may be able to collect compensation for wrongful death, including medical and funeral expenses and the loss of future income. When a poorly designed product causes you injury and disrupts your life, you deserve just compensation. At Banks and Jones, we fight every day on behalf of our Knoxville-area injury victims. To schedule a consultation to discuss your case with one of our competent attorneys, contact us or call us at 865-407-2122. Free parking is available at our office.